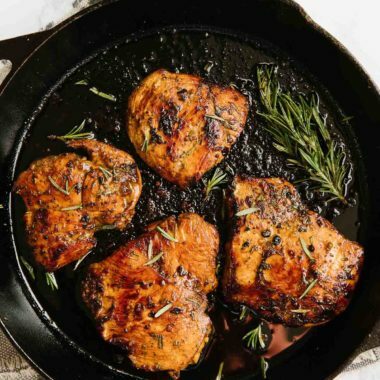 Tangy balsamic and fresh rosemary marinated on chicken? Sign me up! 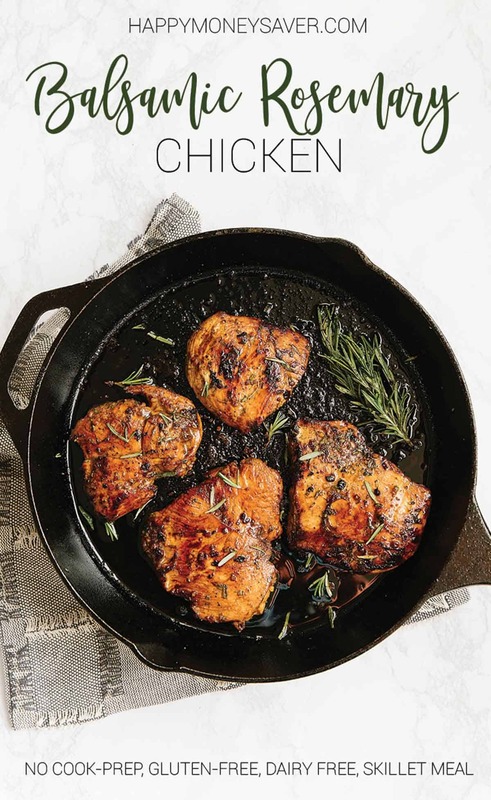 Serve this Balsamic Rosemary Chicken with a side of Oven Baked Homemade French Fries or Make Ahead Mashed Potatoes for a complete meal. I’m craving this already! Dinnertime can be hard on us moms. Kids are picky, time is short, and everyone is tired from their busy day. This is where the magic of my Balsamic Rosemary Chicken comes in handy! I have never heard a single complaint over this chicken and you won’t hear me complaining about it either. 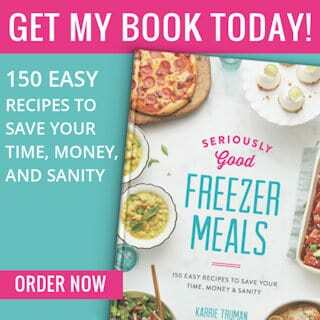 It is so easy to put together, freeze, and cook. If I know we have a busy evening that night, I’ll just pull this meal out of our freezer and let it thaw for the day and cook it up so we have a hot meal on the table for dinner. The flavors are marvelous together and takes only a few simple ingredients to make. What’s not to love? 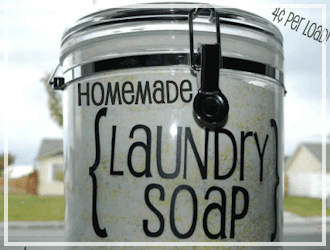 CAN I USED DRIED ROSEMARY? Yes. I highly recommend using fresh rosemary though. The flavor is so much better! You can find fresh rosemary sprigs in the refrigerated part of produce at your local grocery store. WHAT KIND OF BALSAMIC VINEGAR DO YOU RECOMMEND? 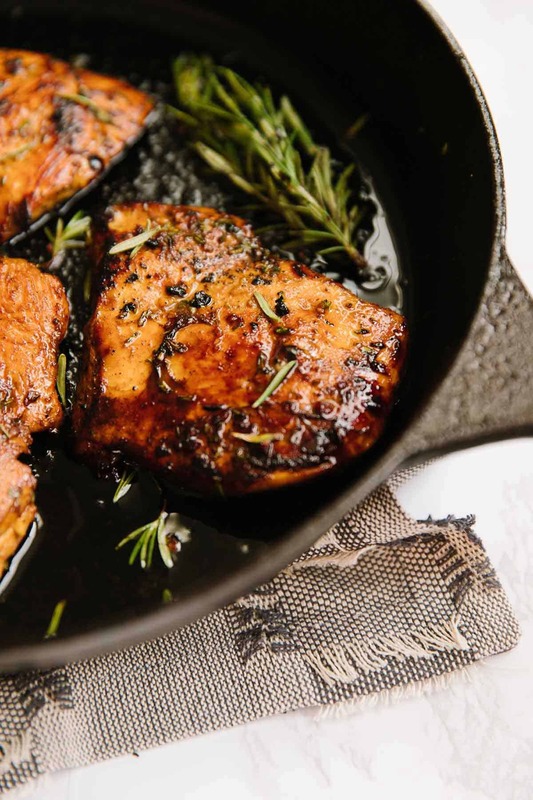 No need to get out your fancy balsamic vinegar for this recipe. 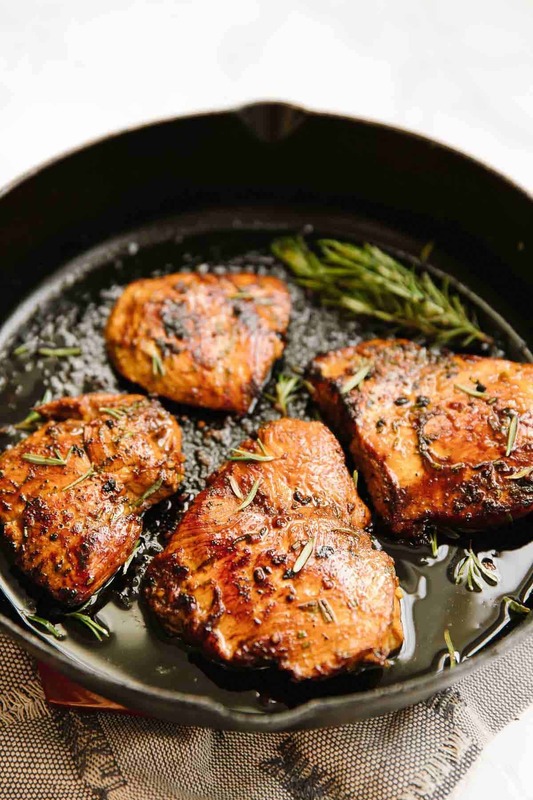 Just your average balsamic vinegar will work just fine since it is just used as a marinade. HOW LONG DOES IT TAKE TO THAW? 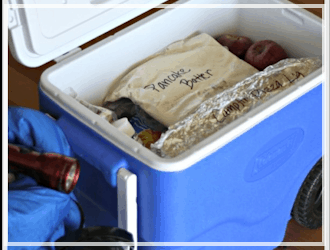 It takes a good 6-8 hours to thaw in a fridge. If you are in a rush, you can always defrost by running the chicken under warm water. 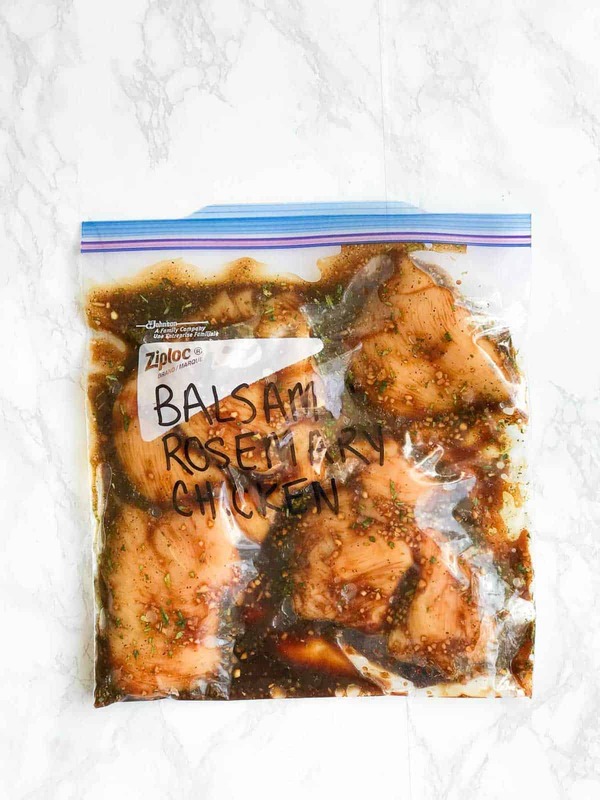 Add chicken breasts into gallon-sized freezer bag. In a medium bowl combine olive oil, balsamic vinegar, rosemary, and garlic. Whisk until combined. Pour over the chicken breasts coating all the pieces well. Seal bag, removing air. 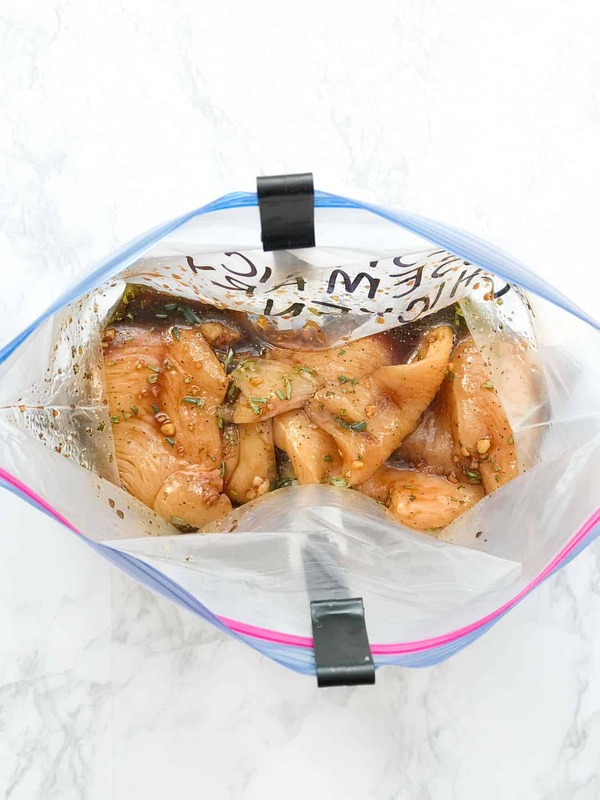 Marinate chicken breasts for 10-15 minutes. Add 1-2 tbsp vegetable or canola oil to a large skillet and heat on high. Add marinated chicken breasts and sear on one side for 2 minutes. Turn the chicken over and cover with a lid. Reduce heat to medium. Continue to cookfor 10 minutes or until juices run clear. Serve. 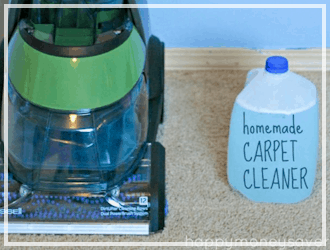 Label a new gallon-sized freezer bag. Add to labeled bag the chicken breasts. Pour balsamic marinade over the chicken breasts and seal. Gently massage bag until contents are well coated. Seal bag, removing as much air as possible, and freeze. 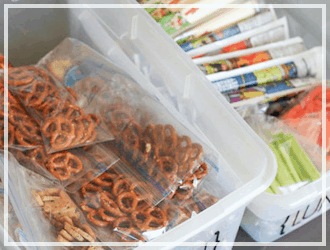 Thaw contents of bag quickly by running under warm water until fully thawed. Or place the whole kit in the fridge first thing in the morning so the meat will be thawed by dinner time. Add 1-2 tbsp vegetable or canola oil over high heat. Add marinated chicken breasts and sear on one side for 2 minutes. Turn the chicken over and cover with a lid. Reduce heat to medium. Continue to cook for 10 minutes or until juices run clear. Serve.